For most Cities and Chambers of Commerce', maps remain the number one marketing and promotional print piece distributed. While in car GPS devices have their place, maps with business information is the best piece of information for a relocation candidate or soon to be new resident. When people, businesses, families and even entire organizations move to an unfamiliar area, they need to know where places are and what readily available (i.e. schools, places of worship, retail, etc.). 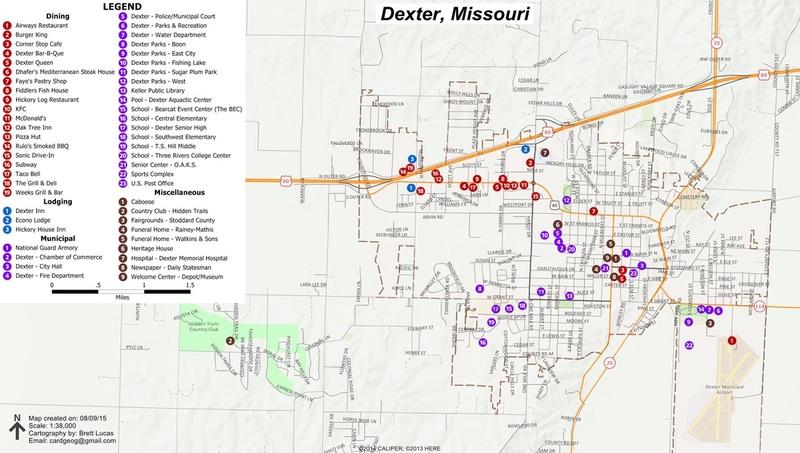 A relocation candidate needs to know this information and the best central source for this information is a Chamber of Commerce map. 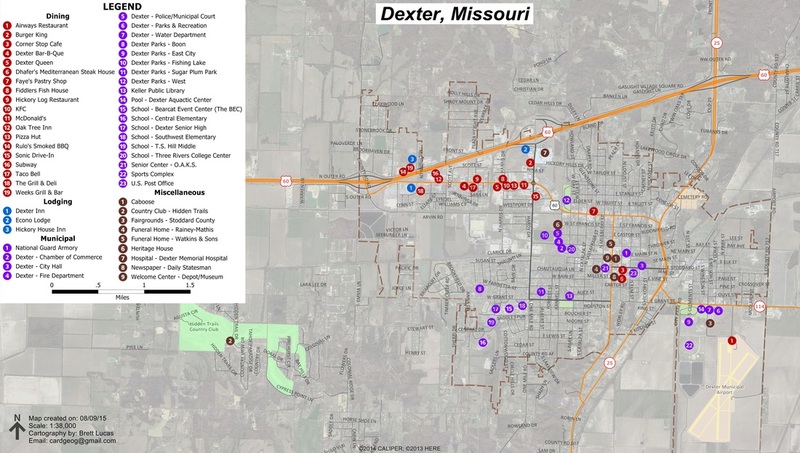 Here are example Chamber of Commerce maps for the town of Dexter, Missouri. The second map uses an aerial photo background for easy reference of buildings.